Of course they make it look easy –– they were born for it. They come with their own wetsuit, fins, and superb swimming skills. What are we talking about? 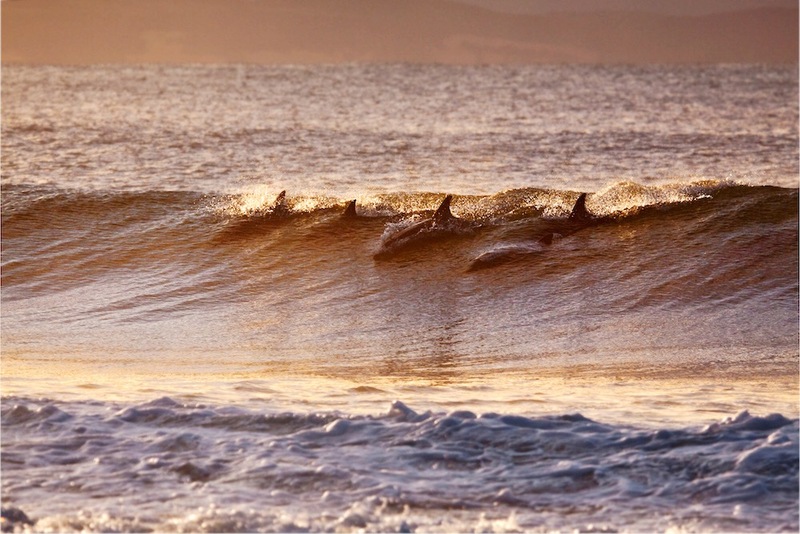 Surfing dolphins. Acrobatic, athletic, and artful, they glide effortlessly through the water leaving their human counterparts far behind –– and in awe. Before we dive into the whys of dolphin wave shredding, let’s talk dolphin intelligence. It’s a known fact that dolphins are exceptionally intelligent creatures. But just how intelligent? They’re one of the smartest animal species on Earth –– with their brain-to-body size second only to humans. Examples of this intelligence include their cooperative hunting strategies, communication and language comprehension, their use of tools, their sense of empathy and altruism, and much more. But back to dolphin surfing. So why do they do it? Scientists aren’t so sure but their guess is the same reason that humans do: just for fun.